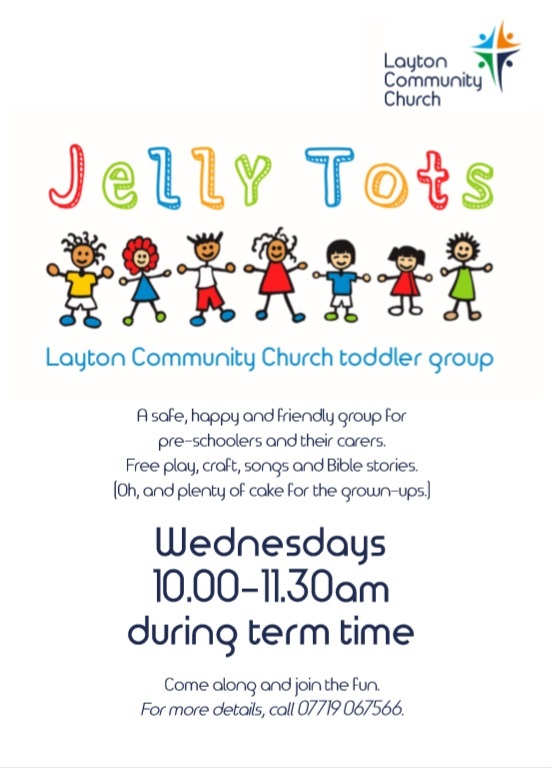 Jelly Tots is a friendly group, run by the church, for pre-schoolers and their carers. We aim to provide a safe and happy environment where children can play whilst the grown-ups have time to chat over coffee and cake. There’s plenty of time for free play, craft, songs and Bible stories. Come along and enjoy the fun. For more details, call 07719 067566.